All athletes are to wear shorts, t-shirt or tank top, and clean tennis shoes. Tennis shoes for all tumbling classes classes should not be worn outside. Hair should be worn completely off the face in a pony tail. No jewelry is allowed - please leave at home. No gum is allowed, and no drinks other than water is allowed in the gym. Please make a notation of the class days and times that you are registering for. We do have various classes that are running for different lengths of time (weeks) as well as some classes running for 30 minutes (semi-private tumbling sessions), 45 minutes (tiny tot), and 1 hour class times. In addition, WIDC will not be holding classes on Wednesday October 31st for those trick or treating. Payment is due at the start of tumbling class(s) and specialty classes. Semi-Private tumbling classes will be charged after each night of class. If payment is not received the athlete will be unable to participate in future class(s). There is a $25.00 returned check charge for any checks returned by the bank or insufficient funds with ACH payments. In order to register for a WIDC class or semi-private tumbling session you are required to enter your bank information however you will not be immediately charged for the session. You can bring payment in at first class. If an athlete is enrolled in a semi-private tumbling session and no shows for a class their account will be charged a $20 no show fee. This fee will be charged for each class where there is a no show. A 24 hour advanced notice of missing class is required. In the event of illness the athlete will be given ONE missed class at no charge due to the illness ONLY in the currently enrolled session with email notification to widcallstars@gmail.com. If there is a second absence in the same session you will be charged the regular class fee for missing the class. An advanced notice of missing class is required. Each additional absence thereafter will also result in a charge of the regular class fee. Please do not post absences on our WIDC Facebook page, team Facebook pages, team app or message the coaches privately. 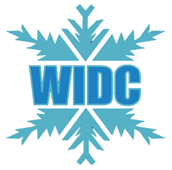 WIDC does reserve the right to cancel any class that does not have minimum enrollment. If this does occur WIDC will make every attempt to find a replacement class to fit your schedule. If a class is canceled a refund will be provided. The undersigned gives permission to Wisconsin Dance and Cheer, INC. its owners and operators to seek medical treatment for the participant in the event they are not able to reach a parent or guardian. I hereby declare any physical/mental problems, restrictions, or condition and/or declare the participant to be in good physical and mental health. I request that our doctor/physician ________________ be called and that my child be transported to ______________________ hospital. Please include physicians' phone number _______________. I have indicated all of my childs physical limitations/disabilities, medications, and allergies on the registration for should any exist. As the legal parent or guardian, I release and hold harmless Wisconsin Dance and Cheer, INC. its owners and operators from any and all liability, claims, demands, and causes of action whatsoever, arising out of or related to any loss, damage, or injury, including death, that may be sustained by the participant and/or the undersigned, while in or upon the premises or any premises under the control and supervision of Wisconsin Dance and Cheer, INC. its owners and operators or in route to or from any of said premises.